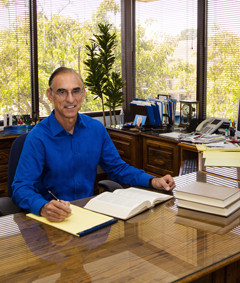 Tom Fier, who has been in practice for nearly 40 years in San Mateo, California, has a civil practice with extensive litigation experience in the Bay Area. His ability to analyze problems creatively and expeditiously often results in resolution through arbitration, mediation, or alternative dispute resolution, which can save you time and money. However, if your case goes to trial, he aggressively and effectively brings it to conclusion. He is a problem solver who focuses on results as an attorney for individuals, groups, corporations and businesses. Mr. Fier will determine whether your legal problems require an aggressive, immediate response or will require extensive in-depth litigation. He is committed to providing you with the most cost-effective solutions to resolve your problems thoroughly, quickly, and efficiently. Tom Fier analyzes problems and breaks them down to their simplest components so any person can understand the legal process and his/her case can be resolved.